Discover the innovative multifunction cooking design, accompanied by a chopping board made with wood from the Sologne region of France and two optional detachable cooking accessories - a grill and a plancha. 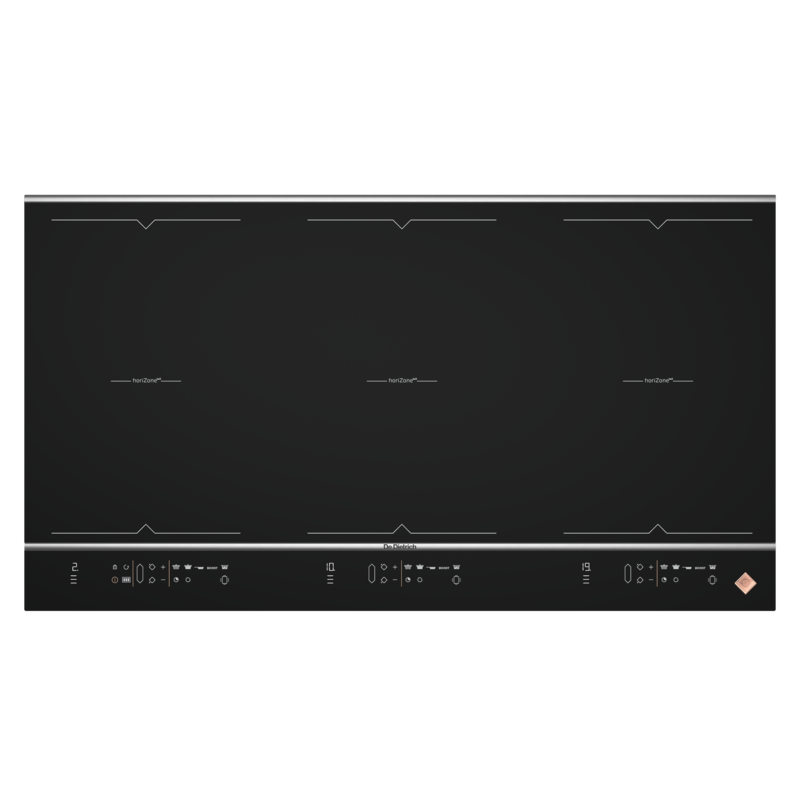 This generously-sized induction hob enables you to use various different cooking methods with unrivalled modularity. Let it take you on an endless culinary adventure. This innovative design enables you to use a single hob for multiple different cooking methods, giving you unprecedented taste sensations. Delivered with a wood chopping board, the hob can also be customized with a detachable grill or plancha specially designed to match the dimensions of the horiZone. This De Dietrich induction hob is highly adaptable and flexible when it comes to adjusting its power settings. Its new digital keypad allows you to adjust the power between 1 and 20, with extreme precision and optimum legibility provided by the white LED display.